If you get paid for performing, you need to have a signed contract from your clients. If you think you don't really need a contract, or think you know everything you need to know about contracts, then think again... and read this book. Sign Here! 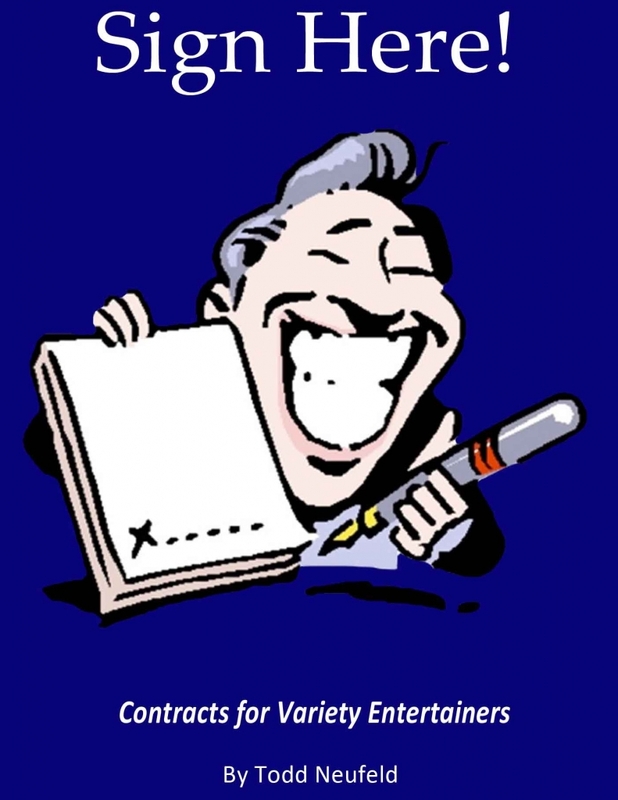 Contracts for Variety Entertainers is a guide to using contracts to enhance your business and be more successful. Todd Neufeld is an attorney, but makes a full-time living as a balloon twister. The professionals at AmazeKids read this book and it's clear that he gets what we all do -- and he's distilled his 20+ years of experience as an entertainer with stories of successful (and unsuccessful) entertainers to bring you a readable explanation of why to use contracts and how to write them. Best part? He includes lots of samples and templates for you to use. The book was written for freelance entertainers; magicians, jugglers, clowns, face painters, balloon artists, vents, and more. It is filled, cover to cover, with advice and contract language that Todd uses every day to run his own business. It will definitely help you with yours.